West Coast Vale may sound like a valley within the Singapore coastline, but is actually a parcel of reclaimed land. 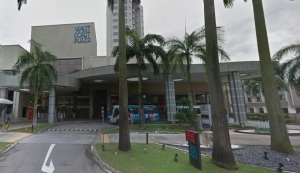 This area is within the West Coast region which is a subzone of Clementi Town. The West Coast region is part of the West Coast GRC which is a four-member group representation of the constituencies within the region. Coming up as a reclaimed parcel of land during the 1970’s, the eastern and central parts were set out for recreational use, while the western part was utilized for industrialization. The West Coast region has since grown and consisted of not only industrial plants but also residential estates, ranging from condominiums to the Housing and Development Board Estates. There are many social amenities for the dwellers of the region. It’s well populated and most of the facilities are shared. Despite the western part being filled with industries, the eastern and central parts carry most of the social amenities. Though the amenities within these parts are few, a town center can be found in the heart of the HDB Estates. From the consecrated establishments to shopping malls, the social amenities are plentiful. With spiritual establishments including, the Ang Chee Sia Ong Temple and the Wu Tai Shan Buddhist Temple, proves the western part comprises of pious people. With establishments such as the West Coast Plaza Shopping Mall, and the Clementi West Market you can be sure of high human traffic especially on the market days. Learning institutions have also been set up. The region doesn’t comprise of any colleges or polytechnics but has institutions that offer education up to the high school level. There are also international learning institutions. Transportation plays a major role, with multiple road networks covering the region. The West Coast Vale region comprises of primary transitional roads such as the West Coast Road and intermediate highways. The region has also got an Expressway, the Ayer Rajah Expressway. What’s more, is that this region has also got interlinking transportation services that comprise of major key players in the country such as the SMRT services and SBS Transit services that link to the Clementi MRT Station and the Clementi Bus Interchange. This form of transportation is public. Having fun is a right. Over the years developers of the West Coast region have put this into consideration. The West Coast region of Singapore offers the most eccentric recreational centers, ranging from children’s playgrounds that are completely outlandish and within the HDB Estates, to extraordinary parks. The West Coast Park is among the most fabulous locations in the region. The area also consists of a stadium, fantastic lidos, and natatoriums and world-class gymnasiums and aerobic centers. The West Coast Vale is a region that has seen much growth over the years and offers a standalone residency to it dwellers. With both industrialization and residential dwelling within the region, it proves to be productive. Most of the private housing and condominiums within the region are stylish and elegant and house some of the well-heeled in the region. Above all, the West Coast is a remarkable location, owing to its geographical position and prospected growth.